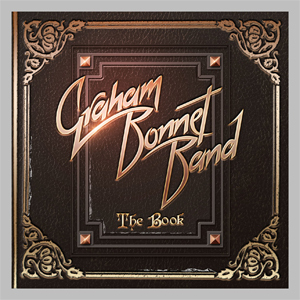 Frontiers Music Srl will release GRAHAM BONNET BAND's new album The Book on November 4th. GRAHAM BONNET is a rock legend. With a pedigree that includes RAINBOW, MSG, ALCATRAZZ, and IMPELLITTERI, he is one of the finest vocalists of his generation. His is a recognizable and unique voice on a number of classic hard rock albums, including RAINBOW's Down To Earth (1979), MICHAEL SCHENKER GROUP's Assault Attack (1982), ALCATRAZZ's No Parole For Rock 'n' Roll (1983) and Disturbing The Peace (1985), and IMPELLITTERI's Stand In Line (1988). The new album, The Book offers 11 new songs where Bonnet lays down his legendary vocals over a selection of hard rock tunes that are chock full of great hooks and melodies. "The songs on the album are very similar to what I have done in the past with RAINBOW, ALCATRAZZ and MSG," says Graham. "I think this is what people want to hear from me and won't be disappointed". "Earth's Child (I Am Your Son)"
"Everybody Wants To Go There"
"Here Comes The Night (Down Without A Fight)"